The Maui Marathon features one of the most scenic courses in the world – a point-to-point route that starts in Kahulu, passes sugar cane fields, and then hugs the spectacular Pacific coast line for more than 17 breath taking miles before the race finish in Ka’anapoli. Scenic beauty, however, is only one of the things this event has going for it. 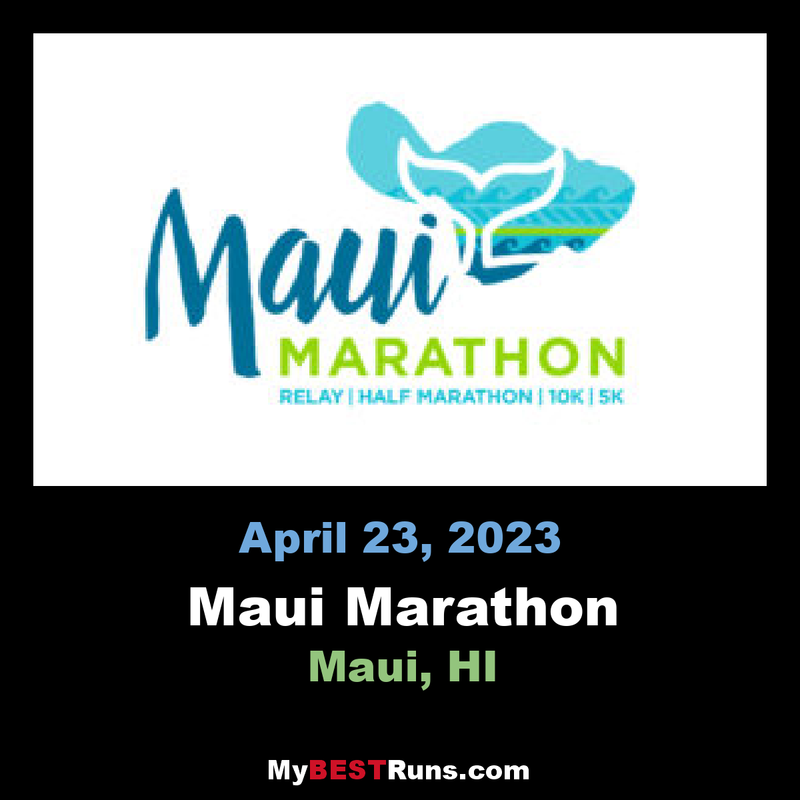 One of the three oldest marathons west of the Mississippi and the longest consecutively held running event in the state of Hawaii, the Maui Marathon originated on Oahu in the early 1940s. By 1974, the race had become officially known as the Maui Marathon. Although small in numbers compared to the world-famous Honolulu Marathon, the Maui Marathon now attracts about 3,000 runners annually and in 2004 raised $100,000 for various charity groups. It has been chosen as one of the top 10 Most Scenic Marathons in the nation by Runner’s World magazine (Feb. 96), and the #10 destination marathon in North America, by the Ultimate Guide to Marathons. The Maui Marathon has developed a reputation over the years as a quality running event. This is due in great part to the many volunteers and community support generated, year after year, for this charity fund-raising running event. What most people don’t know is that the Maui Marathon originated on Oahu in the early 1940s. At that time the event was known as the Hawaiian A.A.U. (Amateur Athletic Union) Marathon. During the 30s and 40s, Hawaii’s top runner was Norman Tamanaha, who competed successfully on the mainland and was considered one of America’s top marathon athletes.